To Drive a Manual or Not? 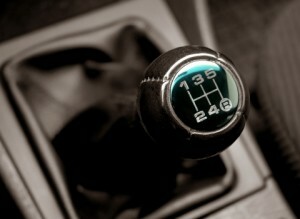 It’s important that every person who has a license learns how to drive a manual transmission. Manual transmissions are a great type of transmission to look for if you love being in control of your car’s engine power at all times, but most people don’t know how to drive a manual. One thing that our transmission repair crew at Urban Autocare has noticed is that most people who know how to operate a manual transmission prefer it over an automatic transmission. You may be thinking, “A manual is way too much work!” But the fact of the matter is that there are many great benefits to driving a manual. You are in control. One of best advantages to driving a manual transmission is that you, the driver, are in control of the power the entire time. You will not only learn how to listen to the roar of the engine, but you won’t have to rely on the tachometer to make sure your vehicle shifts correctly (when driving an automatic). However, if you’re an experienced stick shift driver, you’ll enjoy picking on those who don’t know the best practices of driving a manual; you’ll be able to pick out when someone should be shifting just by listening to the clamor of the engine, but instead they’re watching the gages. Don’t go anywhere just yet! Stay tuned for more great benefits of learning how to drive an automatic transmission. If your transmission is in need of a repair, contact Urban Autocare now!